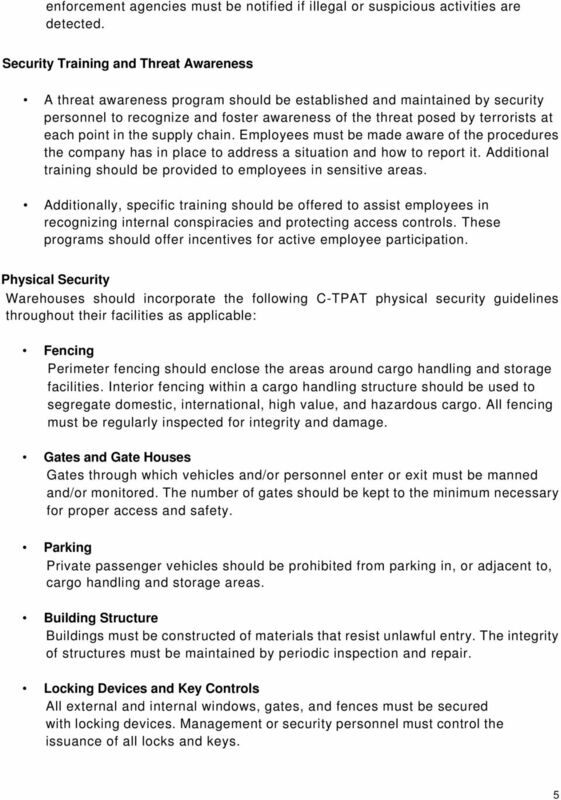 Download "A Message for Warehouse Operators And Security Guidelines for Warehouse Operators"
Appropriate security measures, as listed throughout this document, must be implemented and maintained throughout the consolidator s supply chains. 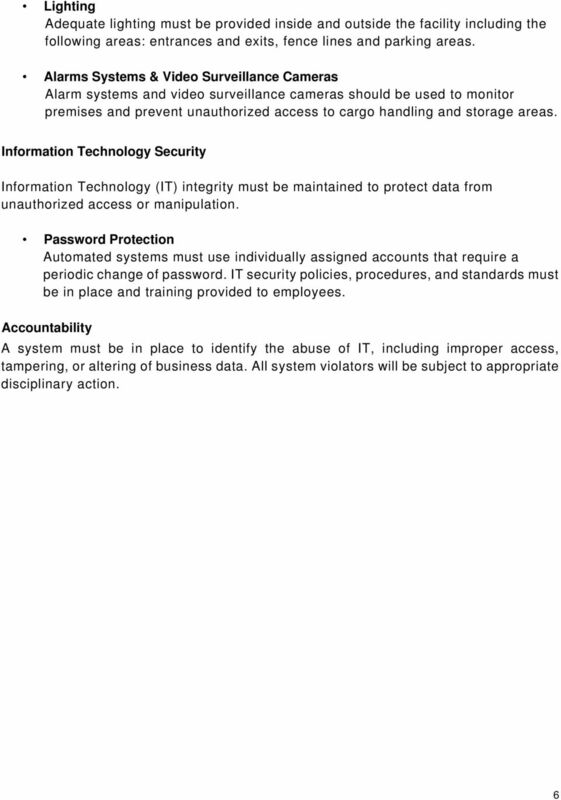 Return the attached PPG Supply Chain Security Acknowledgement by email, fax, or mail within two weeks from receipt. 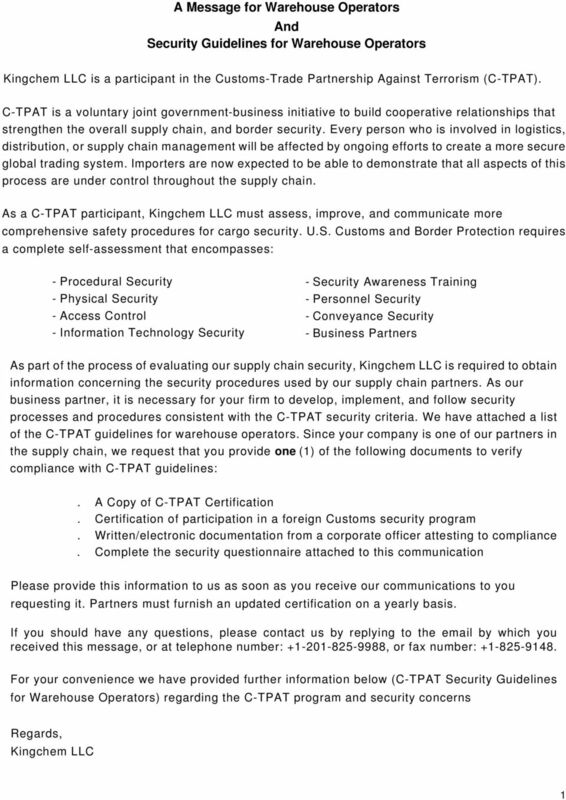 Seventh Avenue Inc. Supply Chain Security Profile Customs-Trade Partnership against Terrorism Supplier Questionnaire Seventh Avenue is a member of the Customs-Trade Partnership against Terrorism (C-TPAT). 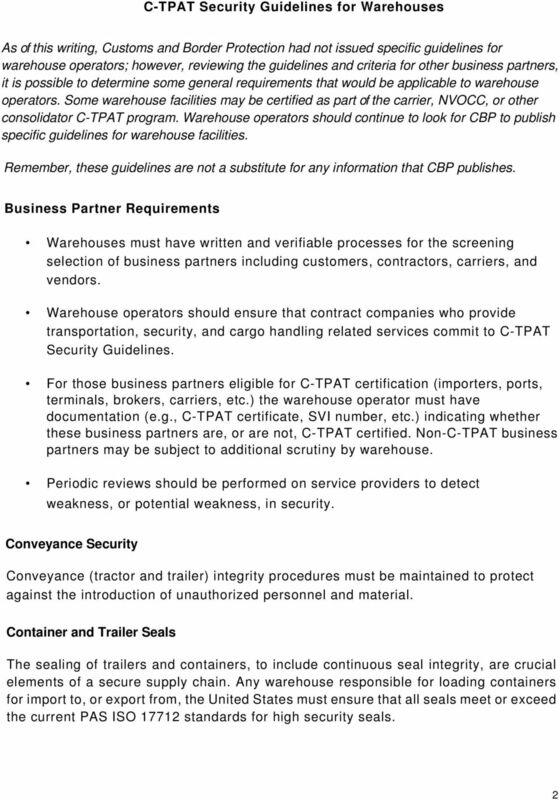 A Message for Carriers, Carrier-Forwarders and Others, With Security Procedures Guidelines Attached. 2. Employees must wear their ID tag at all times while on the premises. 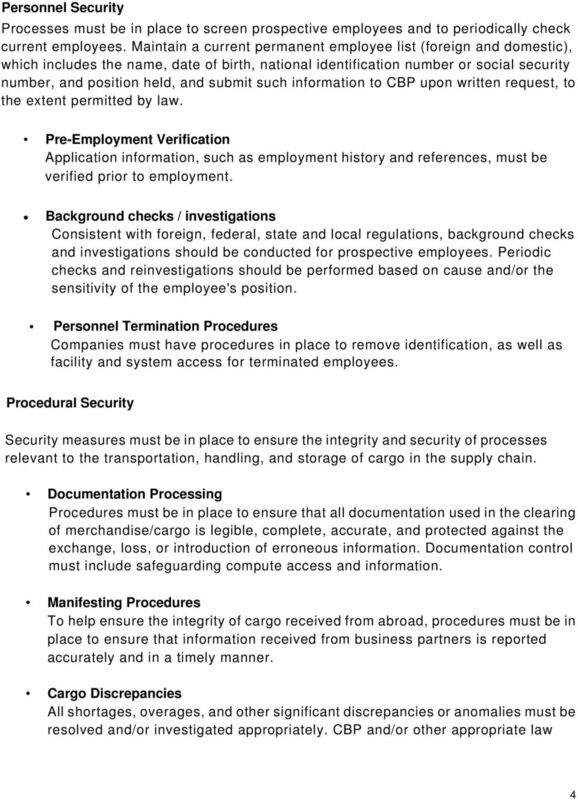 Customs Due Diligence & Supply Chain Security Checklist (Imports). APPENDIX B ABOUT U.S. CUSTOMS AND BORDER PROTECTION: MISSION AND CORE VALUES Northern Border Activities B-1 July 2012 CBP MISSION We are the guardians of our Nation s borders. We are America s frontline. 1 Frequently Asked Questions 1. Why do import shipments have to be bonded? 2. Why do ocean shipments have to be insured under a marine policy? 3. Why does it take Customs so long to examine shipments?